Banksy. Who is he? Will we ever find out? There are rumours, but what do we think about them? Well, we at Tenstickers simply think that his art makes a fantastic wall art sticker, which is all that matters to us really! 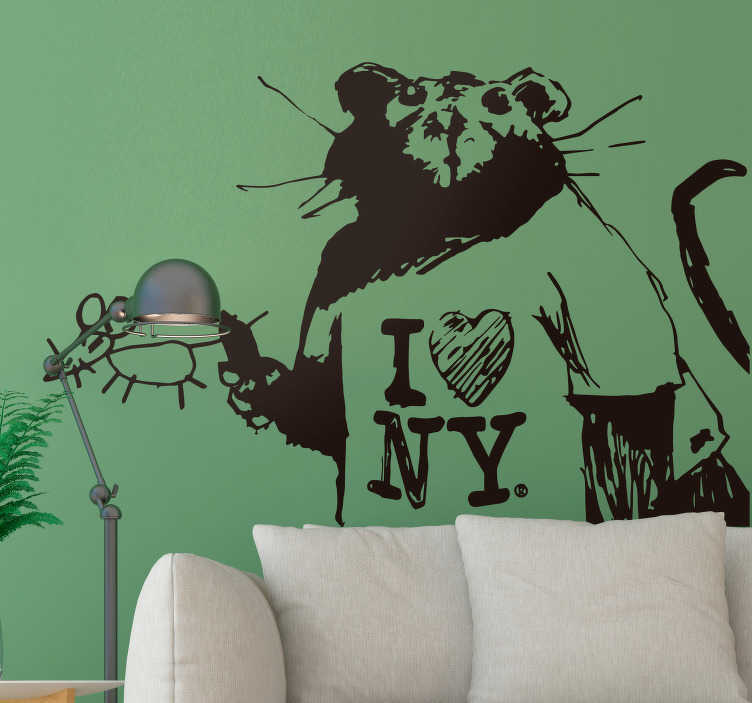 This one, a rat in a T-shirt saying ´I love NY´, really is one that will get tongues wagging! Ideal home decor to add something really worth talking about!